How Do I Find a Copywriter? Because drawing straws is not environmentally friendly. How do I find the right writer to work with my business? I’ve worked with freelancers before, and it’s been hit-or-miss. It’s such hard work to find the right fit, that it seems easier to sit on this project (which, to be honest, has been on the to-do list for waaaay too long anyway). How can I make this happen so it’s worth the time and effort? There’s a lot of apprehension when it comes to hiring freelancers. We work on our own terms! We call our own shots! We’re our own bosses, and no one can tell us what to do! That can be a bit difficult for business owners who’re used to having control. Having control over the big picture is why a lot of us got into business in the first place. But when we need to fill holes in our expertise, or when we don’t have the time, training, or inclination to complete a particular task, it’s time to hire out. I don’t take my own headshots or do my taxes, and you don’t have to do your own writing. How do you find a copywriter? Ask for Referrals. Get a few names of people your friends like and trust. Brand. Think about what you want your brand voice to be. What kind of client are you appealing to? Affinity. Read some writing from the writers you’ve been referred to. Do you feel drawn to any of them? That’s your best place to start. When you hire a plumber, there are Yelp reviews. You can call and ask when they’re available, and what the job might cost. With a copywriter, you might have to do a little more legwork, but you’ll get an awesome result when you use the Dancing Queen method (AKA the Take a Chance on Me Technique, Waterloo Way, etc.). Designers, marketers, coaches agencies, and any of your particularly well-connected business pals should know some writers. Ask around, and try to get 3-4 recommendations — more if your project timelines or budgets are tight. Like any other professional service, it varies, and most writers get scared when you lead with “what’s it going to cost?” First, we don’t know, because we don’t have an idea of the scale of your project. Secondly, it makes us think that maybe you’re looking for a bargain. Red flag. If your budget is $500, you won’t be able to get a website written from scratch from a professional copywriter. That’s just too much work and time. If you want a professional result, you need to budget for a professional rate. My rates, for example, start at $150/page for simple rewrites. New copy starts at $250/page. Projects can be done in stages, but in most cases, you’ll want to redo your entire website at one time. Strategy is hard to implement piecemeal. You’re gathering information from your network and taking a close look at your annual budget. Now it’s time to take a close look at your current communications, and how you’d like them to change. What kind of writing are you looking for? Is your brand voice quirky, calming, or conversational? Before you start talking to people about how to reach your goals, know what you want your result to look like. Writing is not an exact science, and it’s not one-size-fits-all. You might not like my writing, and that’s okay! (If not, it’s kind of weird that you’re reading my blog anyway, but you’re very welcome.) But when you read something in a style that resonates, you’ll know. You’ll just like it more. A copywriter’s website will probably give you enough information to go on by itself — they must’ve written it themselves, after all. Some writers will click, and some won’t. Pay attention to that first feeling. Writers can write in different styles, some more than others. They’ll want to meet you in the middle to create “your” voice in their words. Make sure your middle ground isn’t a long journey. Find one or two people whose style you like? Get in touch! See if your budget and timeline will work for them. Get a feel for how they work and communicate. Okay, you found a couple of people you might be interested in. Cool! Contact them! It might be an email or a phone call where you can feel each other out and get an idea if it makes sense to move forward with a longer introductory meeting. 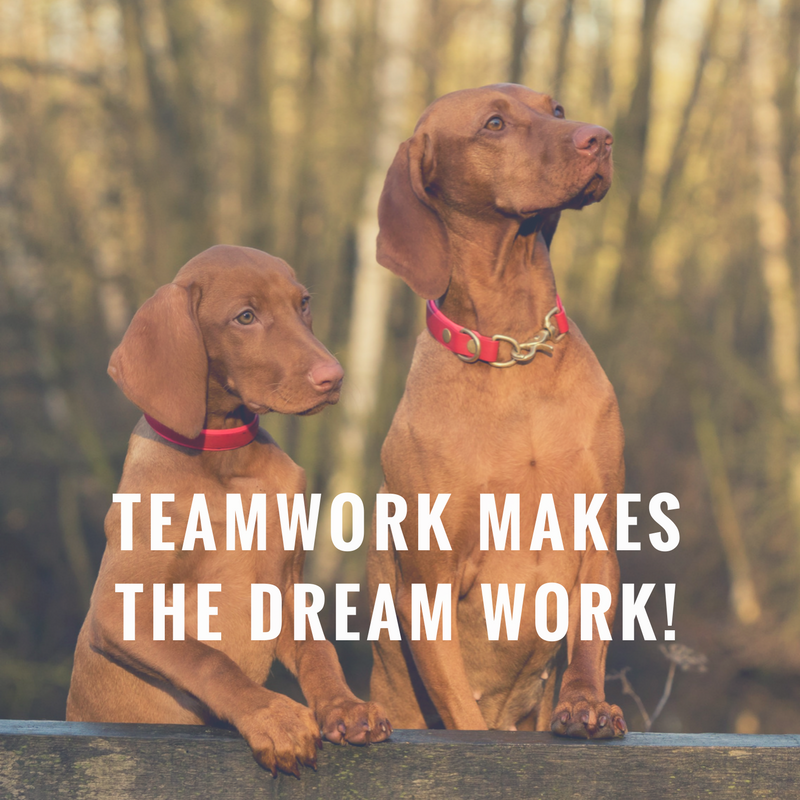 When you like their writing style, the budget and timeline work for you, they’re enthusiastic about the work you need done, they seem like good people, congratulations. You found a copywriter. Hold on to them! What issues have you had with hiring communications professionals? Let us know in the comments, or email me questions at hello@kelleygardiner.com. I’m always happy to make referrals to other copywriters who fit your project needs and style. Like this information? I have so much more for my email buddies every month. Get on the list. Most people, given the time and access to a laptop, could write their own website copy, it’s true. You learned to read and write at school. It’s not like flying your own plane; you don’t need advanced training in order to make words appear on the page. Why should you hire a professional writer to do something that you could technically do yourself? You’ve been saying that you’re going to redo your website copy… for how long now? Even if you had the know-how and the inclination, does it make sense to spend your work time doing it? Or does it make sense to delegate it to a professional? If you’re spending more than an hour a week keeping your books, you should probably hire an accountant. If you’ve put off an important writing project for more than a month, you should probably hire a writer. Many people do a proficient job with their website copy, but there’s something missing. Most of us have our blind spots, and they pop up most often when we look at ourselves. It’s extremely obvious to you what you do, but is it obvious to everyone who reads your website? When I worked in coffee shops in college, people would ask every day where the lids were. Over time, it because astounding, especially when the customer couldn’t figure it out from a simple direction like “over by the door.” It was information that was painfully obvious to me, someone who refilled the lids 20 times every week. It was not clear to someone who was taking in large amounts of new information about the coffee shop—where to order, what to order, where to pick up their drink, who was this stunning young woman behind the counter and why was she so intriguing, etc. Hiring a writer puts a fresh set of eyes on you and your work. Sometimes, we’ll forget how important it is to talk about how awesome we are. I find this a lot with women entrepreneurs, to be honest. Sometimes, when a client sends me a testimonial for their work, I’m blown away. They’re getting fantastic results, their clients love them for it, yet none of that is reflected in their website copy. A professional writer doesn’t hype you up. They reflect your light. You want your website to be a killer marketing piece. I talk to a lot of business owners who aren’t excited to direct leads to their website, because it’s out of date or was never up to their standards. What would it feel like to know that your website would work for you instead of against you? Now, not to brag, but I read a lot. I read about writing. I read about copywriting. I use all of that information, along with my experience in freelance writing, copywriting, and editing, to bring you a professional result. You’re the expert in your business, but copywriters are the experts in writing copy. Hiring a professional means you’ll get a strong scaffold of strategy to hang their beautiful words on. And strategy is all about creating a path that leads to sales. Look, we’re all in business to make money, right? I know it’s hard to say goodbye to cash dollars to get professional writing done, but good writing will support your goals. Do you want more traffic? More qualified leads? What do you need that’ll increase the bottom line at the end of the month? We’re talking about an investment in your business. You pay for plenty of intangibles that help your business: conferences, networking, training, sponsorships. Put professional copywriting on your list. 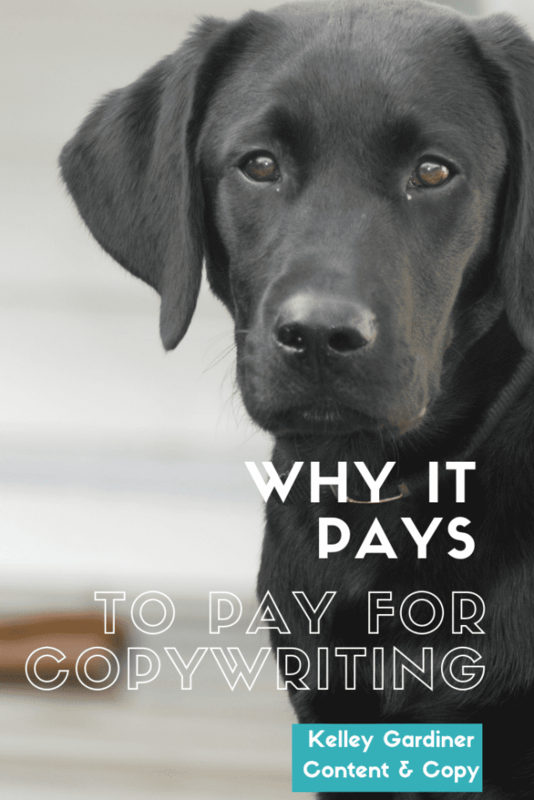 What’s keeping you from paying for professional website copy? I want to hear from you! Does your business have core values? I took a little time recently to think about mine. 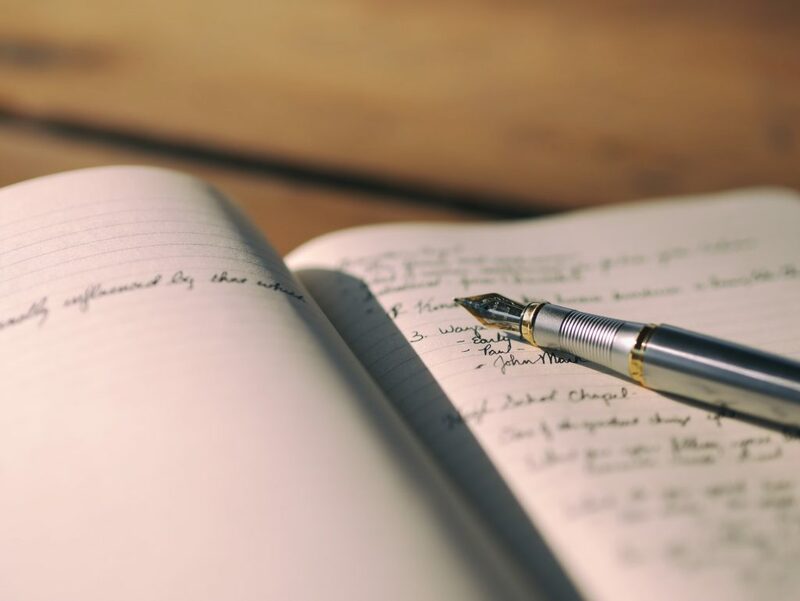 I’ve always known that certain things are important to me—like supporting nonprofits and creating an awesome product that makes my clients hear trumpets when they read it—but I’ve never written them down. I guess I was busy writing other stuff. Now, I have a draft of my core values that I’m feeling pretty good about, and I’d like to share it with you. I wrote these as “we,” even though my business is me, my laptop, and an occasional outside proofreader. But, hey, it’s good to leave room for growth. And I want my occasional proofreaders to understand where I’m coming from. We seek out fun and cool projects. Life is short, and we do awesome work with people we want to hang out with. We support small businesses, social justice causes, and nonprofits with our time, money, and talent. We work with people who do the same. We’re here to help our clients and their clients. We aim to make the world a better place for all kinds of people. We’re always learning something new, and stretching our limits. We’re brainstorming and then pulling back. Good isn’t good enough, but perfect is a myth. Edited out: We’ll never rest on our laurels, even if we do take some naps here and there. Does that sound like a business you’d like to work with? You down with USP? YEAH, YOU KNOW ME! Now that I’ve shown my age (38, if anyone’s counting), let’s talk about what makes you the best person to serve your dream client. What makes you and your product unique? Why are you the best person to buy from? This is not a rhetorical question, and I don’t want you to shrug it off. There is something inherent about you, and your product or service, that serves your clients in a different way than your competition. And is that clear in your website copy? If someone takes five minutes to read your home and about page, they should come away knowing what sets you apart. Let’s talk about how to find your USP, and then how to communicate it through the language on your website. First, we’ll look at an easy example, then we’ll delve a little deeper with some help from coaches who work with business owners like you. Let’s use a blaring example. If you have a coffee shop, why should someone come to your place instead of the Starbucks one block over? What does your business stand for? What are you known for? What are you about? Let’s look at my local hang. My neighborhood coffee shop is 100% vegan, and their tagline is “Drink coffee. Take care.” They are known for being a vegan coffee shop in East Portland. You can buy records there, but that’s not why they exist. Starbucks, on the other hand, is known for a consistent gourmet coffee experience. You can buy bananas there, but that’s not why they exist. Both coffee shops have other offers, and other marketing messages, but they’re not trying to be the cheapest coffee in town. They’re not trying to sell the most breakfast sandwiches. Of course, you don’t have to be a vegan coffee shop or Starbucks to be successful. There’s room for you to have your unique niche in the marketplace. If you’ve been wondering what the heck your USP might be, you’re not alone! It’s not necessarily going to be 100% crystal clear right out of the gate. It might take some thinking and refining, and it might change as time goes on. Lucky for you, this isn’t something you have to come up with right this moment. It might take a little musing and shaping. It might take a couple of passes, and a long walk on the beach. I tend to get my “aha” moments while zoning out to NPR in the car. Danielle Ewalt is a business coach who specializes in working with parent entrepreneurs, and she knows a thing or two about crystallizing your abilities and communicating them succinctly. Try this: make a short list right now of what makes your business product unique. Then list the top two or three things you do really well. What does the intersection look like? I have to be honest with you. 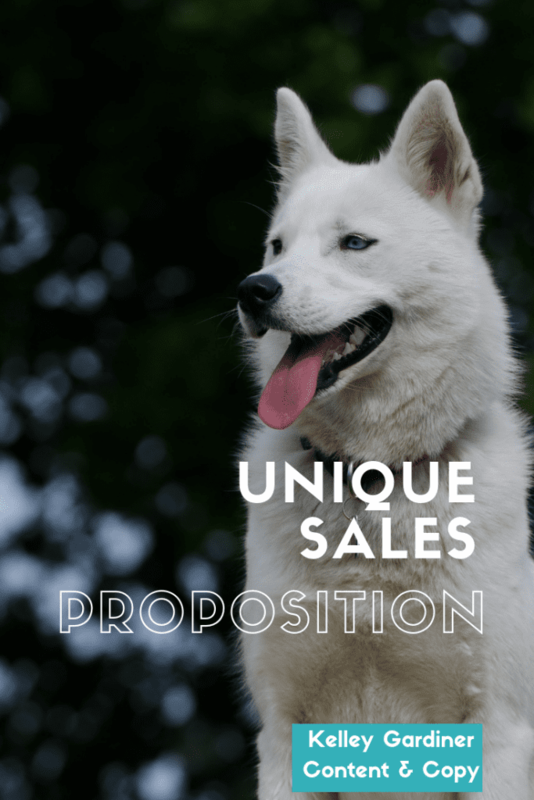 When I started thinking through my own USP, I found some internal resistance pretty quickly. 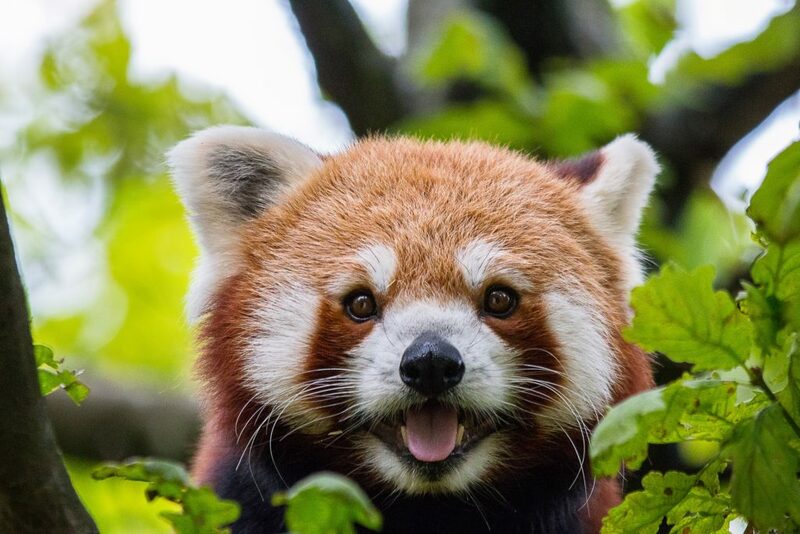 “What, me? I don’t know anything!” part of my brain wanted to tell me. Brain, please. I’m good at what I do, and I’m constantly trying to learn more and improve myself. I’m funny when I want to be, and I have a knack for simplifying complex concepts. OKAY, BRAIN? Can I live? Plenty of other women and non-binary entrepreneurs struggle with this as well. How do we position ourselves as the best, especially when we don’t feel like the best? I asked the wonderful Selena Maestas from the Love YOU More Project to share her perspective as a coach who helps people see and be their best selves. Our minds are our biggest obstacles. When we believe what our inner critic tells us, we stay small. We question our knowledge, our success, and our worth. It’s a vicious cycle that requires a LOT of work to overcome, especially if you don’t have the right tools. Do I want to feel this way? How would I rather feel? What thought must I have to feel differently? To be fair, this doesn’t fix the problem right away. There are other pieces necessary to override your survival mind; however, it is a good start to see your thoughts for what they are and to notice how those thoughts are affecting your results. Okay, you say. I’ve figured out my unique selling proposition. But how do I express that in my website copy? Edit it again, etc., etc. Home: Is your USP communicated clearly? Why would that prospect want to learn more about you? About: How does your story highlight your USP? Work/Portfolio: Amplify your skills and expertise by being super specific and showing examples. Tagline: Your brand, including a tagline if you use one, should work toward communicating your special talent. Elevator pitch: Can you tell me in ten seconds what sets you apart? Have you found your USP? Feel free to brag on yourself in the comments. 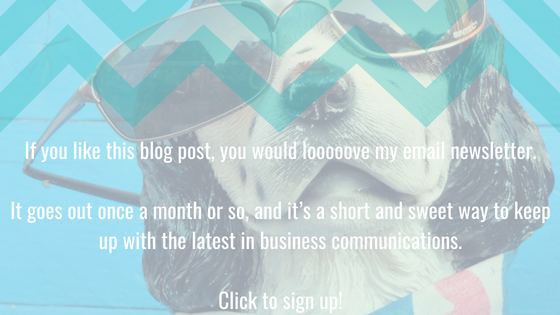 If you liked that blog post, you would looooove my email newsletter. It goes out once a month or so, and it’s a short and sweet way to keep up with the latest in business communications. We’re back at it with our blog series based on the 18 Must-Haves for Website Copy That Converts checklist. If you haven’t downloaded it yet, might as well go for it now. 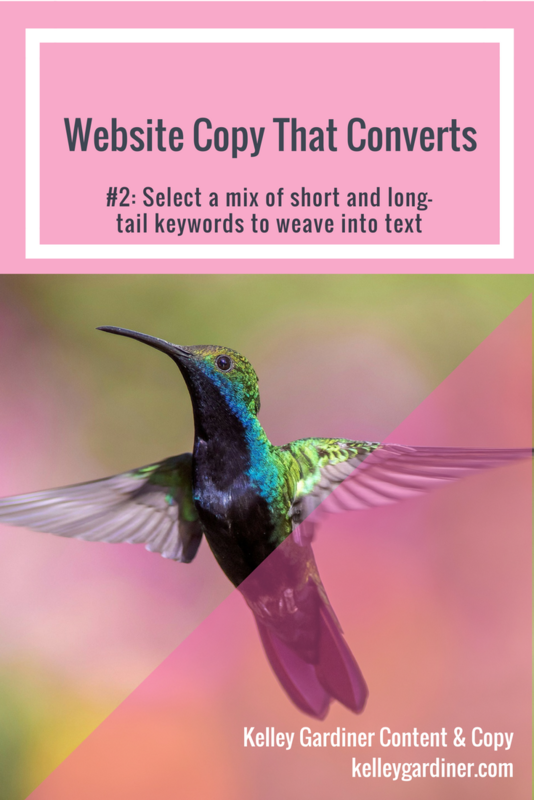 #2 on the list: Select a mix of short and long-tail keywords to weave into text. Today, we’ll go very briefly over keywords. Why? In short, optimizing your keywords will help your business show up in internet searches. This subject can be a bit of a yawner, I know, for non-techie types. But if* you want to show up in these searches, you’ll need to put a little bit of work into the front end. We’ll try to make this intro quick, fun, and actionable. *Wait… what do you mean, *IF* I want to show up in these searches? Some people don’t care as much about SEO. Maybe you’d prefer not to get every rando on the internet emailing you to ask you for a quote. Instead of gathering leads via your website, you’re trying to convert warm leads once they get there. 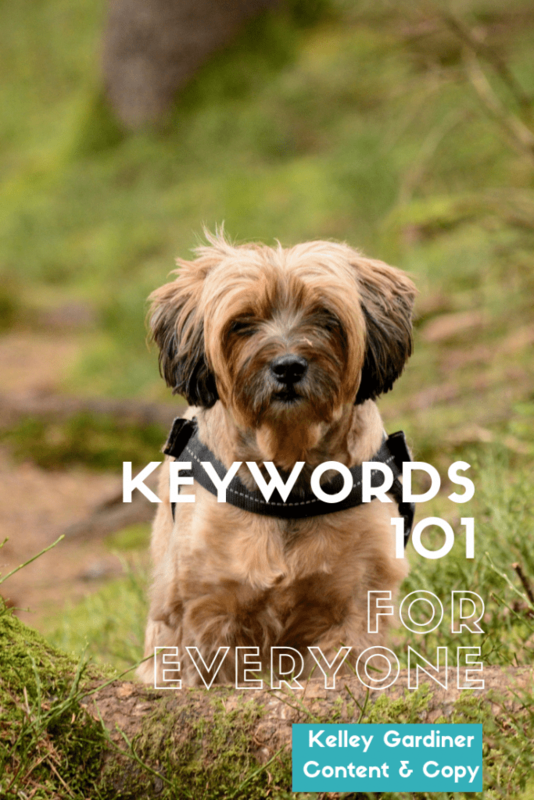 For the rest of us… KEYWORDS! Make a cup of coffee and sit down here for a moment. I’m here to tell you about a story about a penguin, a panda, and a hummingbird. It is not nearly as cute as it sounds. When someone makes a search on Google, Google takes a look at everything the company has indexed, all across the internet, and uses its algorithm to give the user back the most pertinent information. That’s why we use Google—because it works. Most of the time. Penguin, Panda, Hummingbird, and Fred (yes, Fred) are all code names for Google algorithms, which are being tweaked and changed all the time—maybe once or twice a month. Google doesn’t always announce changes. You know how this works. 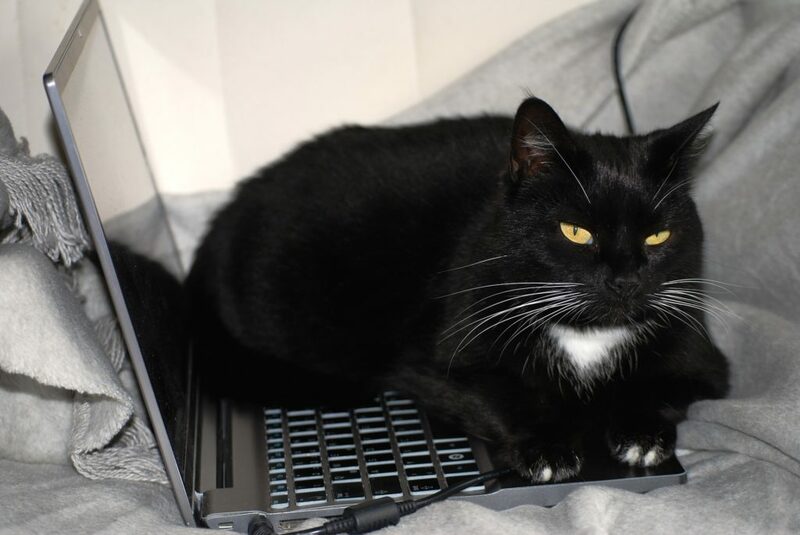 When someone searches for “cat photographer,” a number of websites pop up. In this case, “cat photographer” is a search term. If you want that search term to find your delightful internet home, you use “cat photographer” on your website as one of your keywords. There are two kinds of keywords: long and short. Long-tail keywords are… longer. They’re a string of words. They’re searched less often, but have higher conversion rates. So, maybe 100 people search this term in a month, but many of those 100 people are doing specific searches that mean they’re ready to buy. Short-tail keywords are… short. There’s a ton of competition across the internet, and your conversion percentage will be much lower. People are searching for these terms might be looking for something unrelated to what you do. But, hey, they’re easy to sprinkle throughout your site. Figure out the type of traffic you’re looking for, and plan your mix of short and long-tail keywords accordingly. I’m not even going to pretend like I’m the best person to talk to about this. Check out a couple of beginners’ guides. Here’s one for WordPress. And so many more you can google. The point? Start thinking about what keywords you want to rank for BEFORE you start writing. You can pay people money to do this for you if you like. Maybe a spreadsheet. I do love a good spreadsheet. I know, I’m sending you mixed messages. Yes, you’ll need to know what keywords you want to rank for before you start writing the bulk of your project. But. Don’t worry about putting those actual keywords in until your second or third draft. Your copy needs to be written with your ideal client in mind. One perfect client who loves you dearly, pays on time, and sends you chocolates on your birthday. Write to her. Sell to her. Make things clear. Or, make things weird on the first draft, a little better on the second, and clear on the third. You’ll have the opportunity to put those keywords in later, when you’re fine-tuning the message. 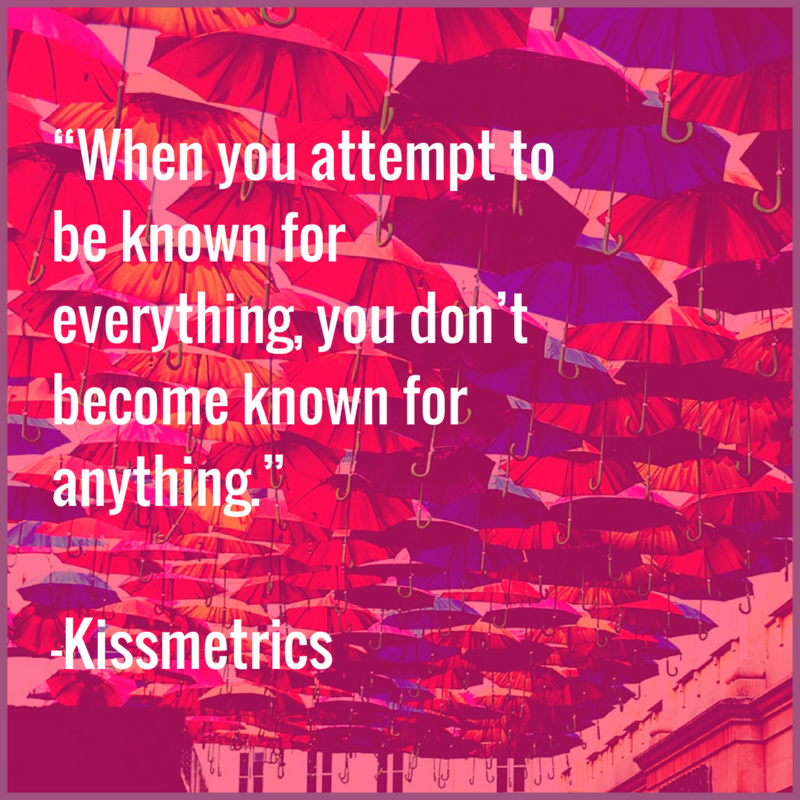 Once you’ve written everything, go back to your list and make sure all those keywords are included. Don’t force it. Keep it natural. If I were putting BEST PORTLAND OREGON COPYWRITER in every other paragraph, you’d be very aware of that instead of my message. The first goal is to be useful to your clients, prospects, and hot leads. SEO Copywriting Ultimate Guide from Yoast. Don’t load your copy with keywords, says Neil Patel. Sprinkle and wave, baby. Need help wrapping your brain around all this? Let’s talk! 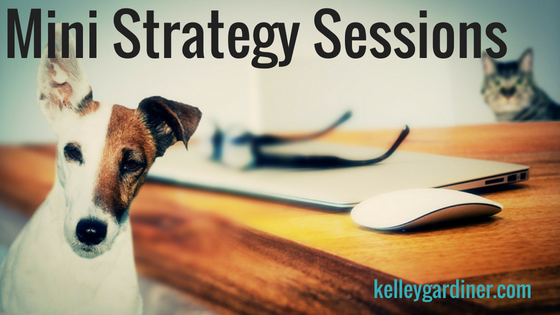 I can write it for you, or coach you through finding a strategy. 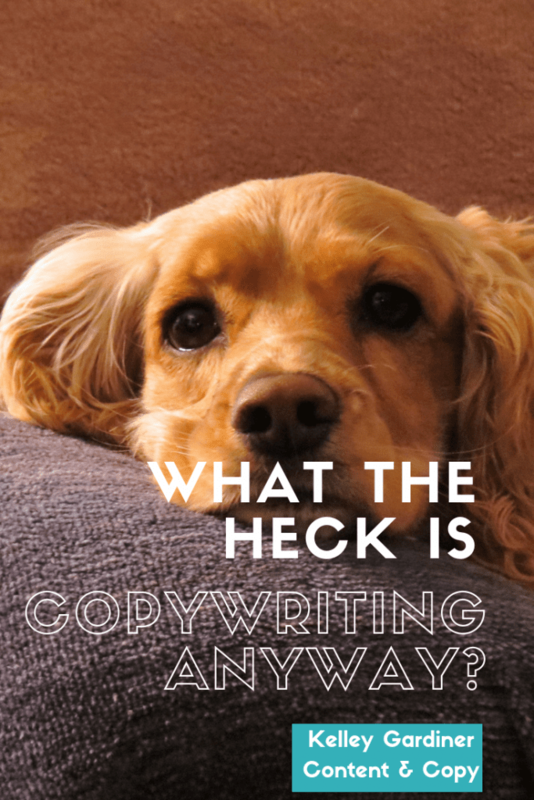 What the Heck Is Copywriting, Anyway? There’s kind of a funny problem with copywriters. Our job is to make communications as clear as possible, but it’s not clear to everyone what we actually do. Hmm, no, I’m not a copyright lawyer. Let’s try again. Besides, business owners outside industries like publishing and marketing rarely even use the term “copy.” No wonder people get confused. Okay, so what the heck IS copy? “Copy” is used across different industries in different ways—a book publisher, a newspaper reporter, an advertising executive might be talking about slightly different aspects of the written word when they use the term. For small business owners, these distinctions aren’t so important. Think of it as the messaging that will help you move product or fill your dance card. The words in your Facebook ads. The words on your website. All the written words you put out into the world to persuade people to exchange their hard-earned money for your goods and/or services. Copywriters have the magic combination of experience and know-how to make those words on the actual (virtual) page. I use the phrase “Content and Copy” because it’s both broad and narrow enough to talk about what I do: I write and edit for small businesses for the internet. Right now, I’m focused on website rewrites and revamps. Hey, you should hire me to do that! Content & copy go hand in hand. They don’t need to be written by the same person, but they should be informed by the same marketing plan. That’s a plan to create content (blog posts, social media, email newsletters, etc.) that drives customers to you, and keeps them engaged. All in a strategic way that ends with you diving into a pool of money, Uncle Scrooge-style. 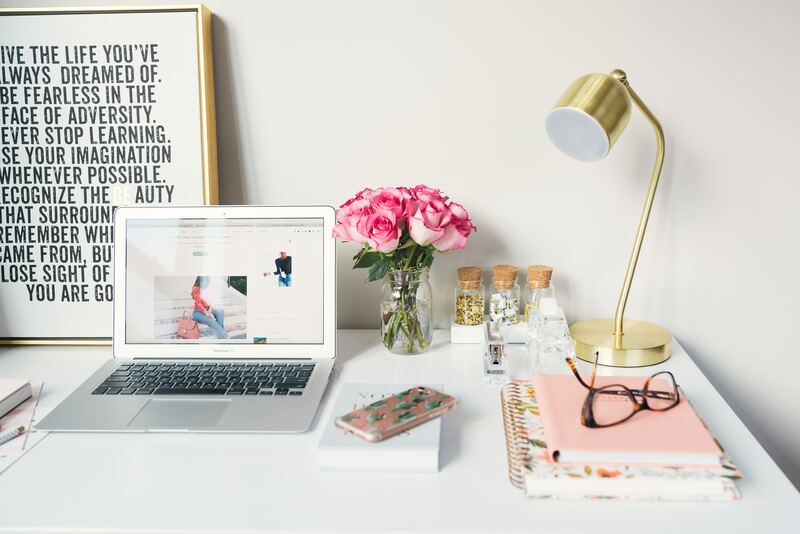 Copy might be somewhat static—you can keep your website “About” page the same for years with no detriment to your sales—but fresh content like your blog posts and social media should also be a part of your marketing plan. What the heck do copywriters do once you hire them, anyway? Well, okay, if you want to split hairs, we write. We make words appear on the page. That’s what’s hard for most people, and it’s what we wake up wanting to do. But we can’t pull it all out of thin air, friends! Usually, copywriting involves information-gathering, a little journalism, a good dash of marketing, and a large glug of interviewing, messaging, and massaging. After you sign a contract with your writer, they’ll want to download your brain once or twice. It’s likely that they’ll want to talk to other stakeholders as well, like your customers, constituents, or team members. On a personal note, I’m always happy to talk to you about referrals if I don’t do what you need. I have a little cabal of writers, marketers, proofreaders, and designers at the ready for any kind of project. 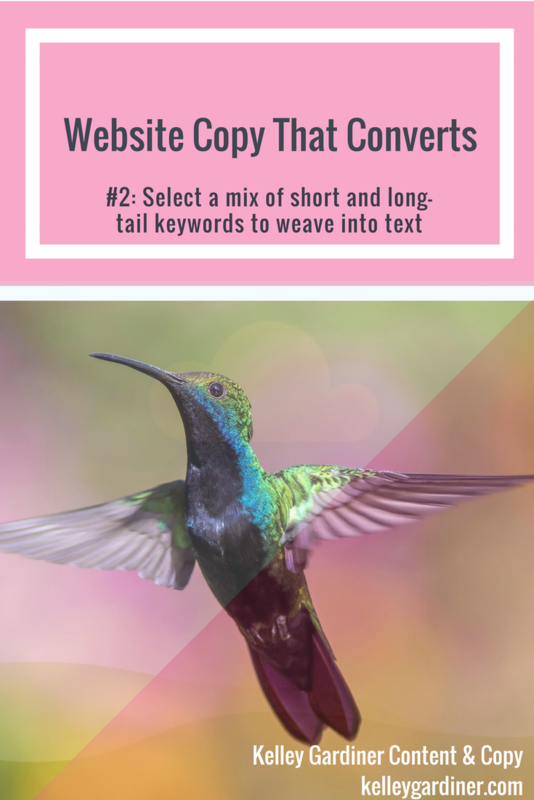 For a better idea of the full range of what copywriters do, grab my free checklist: 18 Must-Haves for Website Copy That Converts. If it’s good, you will sell more. If it’s bad, you’ll lose customers. That sounds scary, but it’s something you can control. There’s anecdotal evidence of a change of copy increasing sales 19.5x. Not percent. Almost 20 TIMES. That’s an extreme case, but 19.5% actually sounds pretty good, doesn’t it? Depending on who you’re working with, a writer might charge by the hour, the word, or by the project. By FAR, the most common way to charge is by project. It’s the best deal for the writer and for you as the business owner—with no surprises when the bill comes. As a general rule, most writers charge $150 and up per page. That’s one web page, in the 300-800 word range. Some charge thousands of dollars for sales pages. If they’ve gotten to that point, it’s because they have a history of being worth it. Or they’re just cocky, so do your due diligence, please. Do you have any other questions about copy or content writing? Toss ’em in the comments, or drop a line! Lke this blog post? Sign up for my email newsletter, which gives you helpful information once a month. No strings attached. You’ll like it. I wasn’t always a writer for small business. I used to write what we call editorial—stuff the website or magazine wants you to read for fun so they can sell advertising. 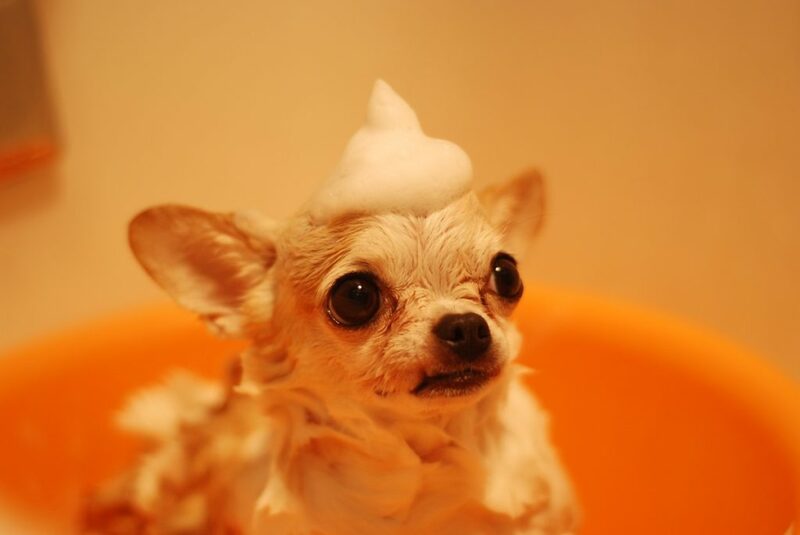 I have not personally tried every dog shampoo boutique in the city. A lot of gathering information for this kind of article, to be honest, is googling and asking around. When those writers are poking around the internet, looking for the best insert your business category here, make it easy to follow up. First, make it easy to connect and fall in love. If you follow the guidelines below, it might even help your customers do the same. When you’d like to earn some free media, make life easy on those hard-working writers. They need your phone number to get the quote their editor is requiring, and if they can’t find it you might not end up in that article after all. Here are the demands. They’re simple, I promise! If you’re open certain hours, please list those hours and keep them current. If you sell online, make it obvious from the front page. If you have a brick and mortar, please come out and say so. It is okay to be obvious. Artfully obvious, of course. You can assume some visitors to your site are flying in from the farthest reaches of the world wide web, knowing absolutely zero information about you and your business. If you want to be contacted by phone, please say so. If you want to be contacted by email, same. Either way, you have to be somewhat available, AND get back to people in a reasonable amount of time. One or two business days is usually fine. Next, make sure your phone number and/or email is listed in more than one place. Put it on every page, if you need to. Don’t make people search or scroll. 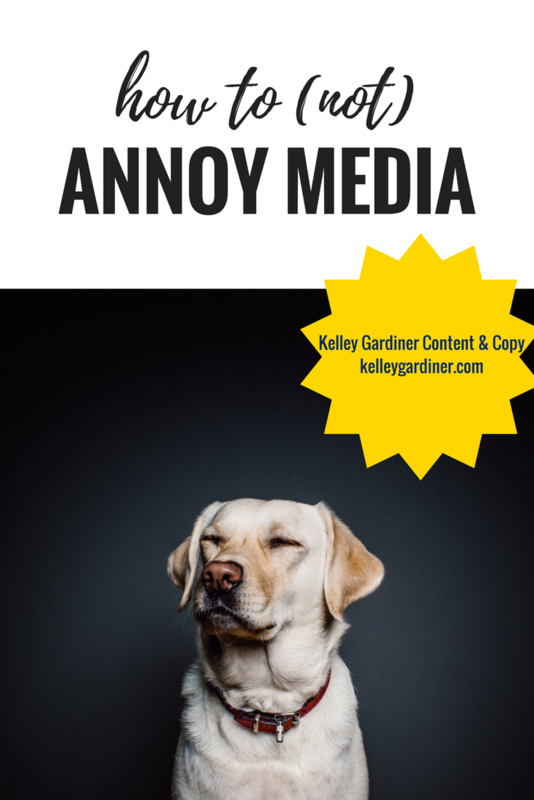 This blog post will have my email, hello@kelleygardiner.com, at the bottom. I only have my phone number on my contact page because I rarely pick up my phone unless I have a scheduled call. Make your physical address obvious. This one is dedicated to Portland, Maine. I’ve been burned one too many times. Make it easy for anyone scanning your information to get this info. Put it in your social media profiles, too. Please. Location matters. 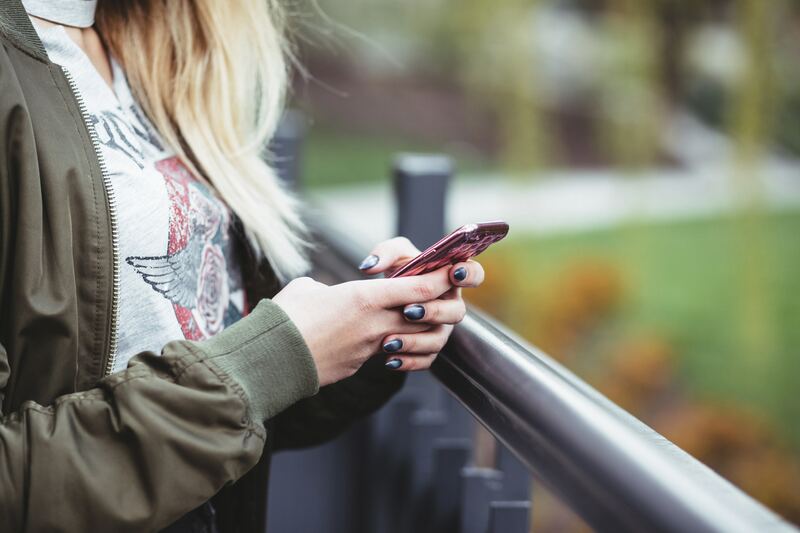 Your address (AND PHONE NUMBER, for the love) should be text that can be copied and pasted. 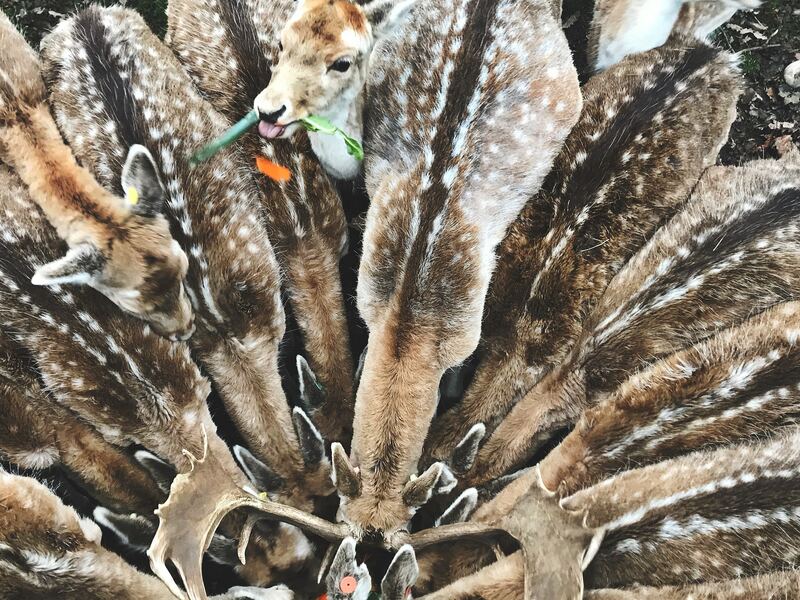 Not an image. You have my permission to ask your designers to change this. Depending on other people to type your phone number correctly is a dangerous business. I like to leave my dangerous liaisons for leisure, not business. Related: read up on how to make your business show up in local searches. You don’t need to be fancy. If you own a graphic or web design company, fancy can be good. Show off those skillz. (You know that already though, because you’re an expert in web design. Sweet.) For the rest of us? There might be some creative fields where a Flash introduction is super appropriate, but in general, let’s not. Keep it simple, readable, and fast to load. But please join us in the 21st century. If your site hasn’t been updated in ten years… we can tell, and it doesn’t make the most impressive of first impressions. Make sure the content is updated as well as the design. More and more customers are using mobile devices to search for and find information. Your site should load quickly, look good, and be easy to navigate. Remember, those phone numbers in an image are a total killer on mobile. Not in a good way. Your customers expect that they’ll be able to click to call. Make sure we know what the heck you do. What the heck do you do? “Create opportunities for small businesses to increase their conversions.” Okay. But what the heck do you DO? “Handmade lovely adornments for your life and living.” Come again? What in the loving heck would that look like on a shelf? A quick read should tell the prospect what it is that you do. Exactly. What services you perform, what you sell, and how the reader can obtain said goods or services. Ideally, this will cut down on messaging from peeps who are not your core customer, as well as boost your SEO. Additional reading: What the Heck Is SEO? I can’t tell you the number of times I’ve emailed a business with a request to reply within two or three business days and… crickets. This is not good, people! Either they don’t want free advertising, or are too disorganized to get back to people in a timely manner. Get your email in order. Hear that? You need content. If your content is thin or non-existent, email me today. We can even talk about getting a little local publicity. Have you had any luck with earned media? What worked for you? When you’re crunched for time, is email one of the first things that gets neglected? Today’s the day to take a few concrete steps to get this under control for the long term. First, we’ll look that inbox right in the face and show it who’s boss. Then, we’ll talk about how to keep things from spiraling out of control next time. Set aside an hour. Get a beverage and some high-tempo music. Roll up your sleeves. We’re diving in. There’s a good chance you need to clean out your inbox. You know who you are out there, friends. Unread messages distract from the important stuff. If you’re like most of us, most of your unread messages are basically junk that you are never, ever going to read. Get rid of them! Wave goodbye to the junk. Feel free to use your “delete all from” feature to say goodbye to all those ads you get from ReallyCuteShoes.com. Bye emails. There are services that will unsubscribe you from a bunch of newsletters at once, but at a price. Usually, the price is that after you give them access to your email, they sell your information. Get yourself a beverage and power through the rest. Now—and this might be the hard part—go through that inbox and answer or file everything. If you can’t answer or file it yet, flag it. Do it all in one go, or take a week to chip away at it. You can do it! No need to apologize for late responses. You’re doing great. Starting is the hardest part. 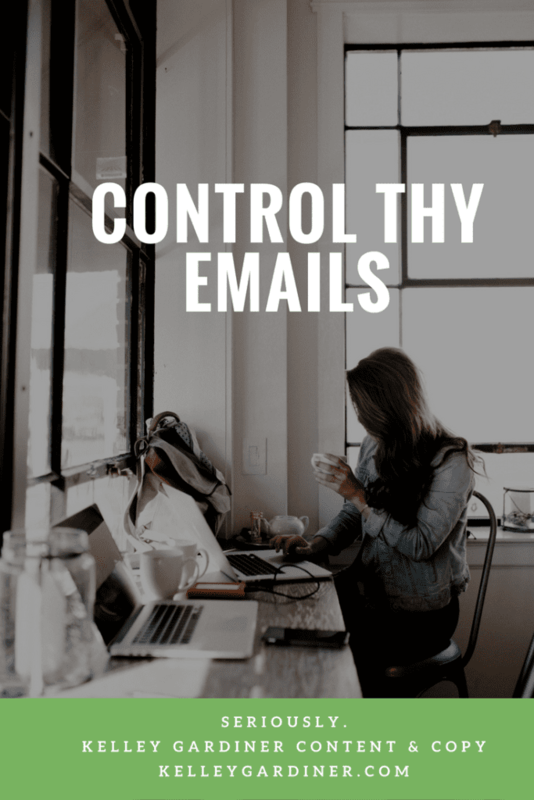 Once you get your email under control, you’ll need to find and stick to a system to keep it under control. Consider checking your email one or two times a day. Answer everything right away. If a message needs more than five minutes of your time, you can put that task on your calendar, and update the sender on your progress. Some people say not to do email first thing in the morning. As a writer, I find it easier to start with something “easy,” rather than creative. And I’m on the West Coast, so I don’t want to feel behind the times. Your choice! This is a personal preference thing, but I like to keep my inbox management extremely simple. The inbox is for unread messages and anything you need to reference today. Reply if needed, and file or delete the message. Delete everything you won’t need to reference later. Flag messages that you need to reference immediately (meeting confirmations, electronic tickets, etc.). If there is more than one page in my inbox, something has gone seriously off the rails. This is low-key and works very well for me, with my relatively low volume of messages. Maybe you’d like to implement some more technology to file, reply, and organize automatically? Please share with the group if you have a favorite app or plugin that automates your email responses. 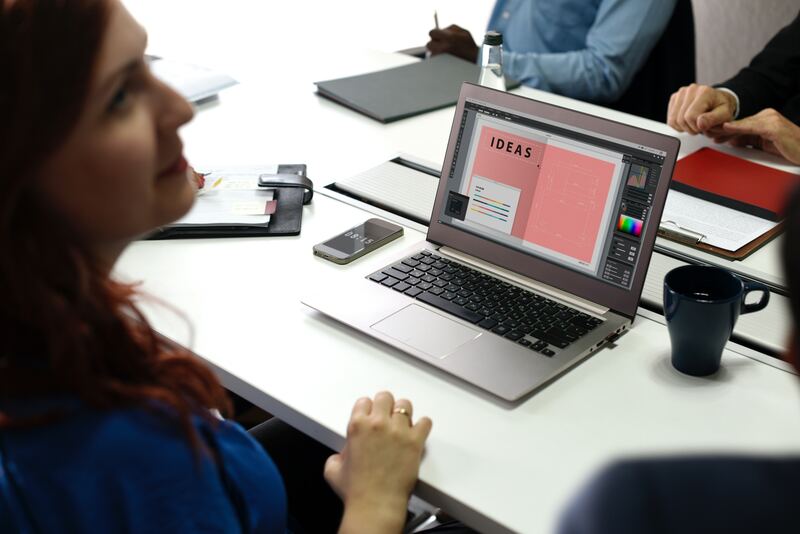 There are also experts in this stuff who will help you streamline your business communications—well worth the investment if you’re so busy you’re missing money-making opportunities. Don’t get too worked up over folders. Search works pretty well. Sometimes I set up temporary folders for research, and delete them later, including all the messages. No muss, no fuss. One folder I am fastidious about is my “To Read” folder. Everything that’s just for information, that I don’t want to take the time to peruse during email time? “To Read.” It gives me something productive to do when the baby falls asleep in the car. Everything over a week old in that folder gets deleted. No mercy! Again, unsubscribe when you find yourself deleting the same messages over and over without opening. Do you need your Facebook notifications to be sent to your email, or do you already check Facebook too much? I’m not judging. Just saying. Change your settings if needed. I, for one, need notifications if someone sends me an Instagram direct message, because I never check that. Anything else? I’ll see it. Find yourself sending the same message over and over? Create a template and save some typing. Phew. I don’t know about you, but with a quick count, I have… at least seven email addresses. Now, here’s the thing. I don’t know how many emails you have, what you use them for, etc. What I do know, is that you’ve got to find your system and stick to it. Logging in to “check” seven email addresses would take a long time. Longer than I have. So, I have notifications for some on my phone, and forwarding for others. Forwarding can be convenient, but potentially confusing. Let’s say you have info@mywebsite.com forwarded to iamsogreat@gmail.com. When a client sends a message to info@mywebsite.com, you see it in your gmail account. And when you reply to that client, it comes from iamsogreat@gmail.com. This may or may not be what you want. This blogger uses a “master” account to manage messages from several blogs. That might work well if you have several accounts that don’t get a ton of traffic. I’ll let the pros tell you how to merge a bunch of addresses into one gmail account. Plenty of messages clogging up inboxes come from misunderstandings and missing information. To increase understanding, keep your messages relatively short and simple. Put important information in bold or add bullet points. Use descriptive subject lines. Start a new subject when beginning a new conversation. NEVER AGAIN. Those three emails will become six, seven, or seventeen. This kind of back-and-forth is an inbox killer, especially when more than two people are involved. Use a scheduling program like Calendly or Acuity to schedule one-on-ones. Do a Doodle to figure out a group meeting time. Work groups can share calendars to avoid all that Doodling. When scheduling a phone call, I’ll just go ahead and write, “You can call me at 555-867-5309.” Maybe that’s not the epitome of etiquette, depending on the situation, but it helps us avoid Should I call you, or should you call me? and What’s the best number to reach you? emails. Sometimes—and I know this is frightening to many of you—it’s better to call than to email. I KNOW. Talking on the phone is not always our idea of fun depending on your personality and generation, but it’s more appropriate when you need a quick back-and-forth conversation. Ask yourself before emailing: is this information best given in a meeting, phone call, or email? It’s okay to turn your work email off at the end of the day. It’s okay to ask people who contact you via Instagram, Facebook Messenger, Twitter, or with message sent via St. Bernard, to follow up via email. You don’t need twenty places with different messages to remember and follow up on. It’s okay to put a vacation email out-of-office message and to really ignore everything when you’re on vacation. Getting emails from your customers is a good thing! However, sometimes businesses get messages that are not from their true customer. Let’s try to cut down on those. Your Marketing Should Tell Your Story. Sometimes we’re so focused on one aspect of branding or sales that we forget the storytelling aspect of our website marketing. Your website should give clear impression of what you do, and why you’re the best person to do it. A clear, accessible story will help cut down on questions from people who want a service that you don’t perform, or who aren’t the customer you’re hoping to land—including those who aren’t ready to pay your price point. If you’re answering the same questions over and over via email, it might be time to clarify language on your website or add a frequently asked questions (FAQ) section. Cut down on your busy work, so you can put your energy into work that creates wealth. Sound good to you? Let’s talk about clarifying the messages on your website. Look. Maybe there’s just more email than you are able to, or want to, handle. If you haven’t read those 5,000 emails, would you really miss them if they were gone? It’s nothing to take lightly, but there’s no law against just deleting large swaths of emails. You’re spending 10 hours a week on email, earning you… zero dollars. Boo. So, you hire a virtual assistant, paying $15 an hour. Now you have the time to do the work you really love, earning $50 an hour. You’ve just made an extra $350 in a week. You can’t afford NOT to hire out a little help. Virtual assistants can help with social media, SEO, email, data entry… anything you don’t love and are ready to say goodbye to. Do it already, you successful job creator! How do you manage your emails? Any awesome ideas that work for you? Let us know in the comments!